With all the chatter about good links, bad links and spammy links and how Google penalises bad links – here is the truth about link building for SEO. Link building has had a bad rap lately and that is mainly due to websites having bad links, for example websites that have a high percentage of unnatural links or participate in paid link spam. 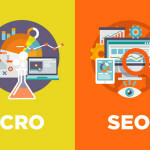 The reason these links are bad is that they are generally created specifically to increase search engine ranking in the mistaken belief that the more links you have, the higher the ranking. Matt Cutts, Google’s head of Web Spam has had a lot to say on building links and one of his presentations about bad link building and the penalties involved in this activity can be seen here on YouTube. Essentially, no one really knows how much weight Google places on external links in their algorithms – but it is certain that high quality, organic links do help ranking. Honestly? We have no idea. Google does not tell anyone how many links will help increase your ranking. What we do know is that natural links between your site and a high quality, authoritive site helps your ranking. Other factors that relate to ranking include the quality of your content and how you engage consumers, the relevance of your content and how often you refresh your content. If people like your website, visit frequently and share your information on social media, natural links will begin to appear. There is no easy way to get good quality links – there is no one-stop-link building store – and asking for links is asking for favour from someone you don’t know. Do the work, create a great website that people want to visit and share and the links will naturally grow. So I need better content to rank well? Honestly? Yes – if people cannot find the information they are seeking on your website, they will leave. You need to give visitors a reason to stay and convert from browser to purchaser (or whatever your goal is for visitors). You need to engage your visitors by giving them up-to-date information, answering their questions, offering discounts or by creating a monthly competition. All of this can be achieved by an active blog with at a minimum, weekly posts. This doesn’t mean that you can just leave the rest of your website to go stale – update your content as new products come online or new information is available. Content is all about engagement and giving the visitor a positive experience on your website. This will not only increase conversions, but can also build those much needed organic links. Honestly? How long is a piece of string? What we do know is that it will most probably take longer than you want. Ranking is an unknown science (unless you are Google) and it takes time to build yourself up as an authority in your field. People need to trust your business, to genuinely return to your website for information or products and to want to engage with your company. Building this type of relationship takes time and organic link building can be slow. As more links are added to your website and you refresh content and post frequent blogs, Google will re-index your website. Based on this indexing and in response to keyword searches, Google decides whether you are an ‘authoritive’ site, how relevant your web pages are to the searcher’s keywords, adds a sprinkle of moon dust – and ranks your site on its search engine results pages (serps). One thing we do know is that building good quality links takes time and if you don’t build these links or you do so for a few months and then give up – your ranking will not be sustained. Sure as the sun rises in the east, good quality natural links and a committed effort to creating good content will increase your search engine rankings. If you would like to discuss link building strategies or need help with your search engine rankings – call us on 02 8211 0668, email us on [email protected] or complete our online enquiry form.